M. Lockwood Porter has some seriously talented friends. Keyan Keihani is another Lockwood associate you should know about. Keihani is an exceptional singer-songwriter whose songs fall in a more pop-oriented vein. His first album, Eastbound, is gentle on the ears but not gentle on the heart. 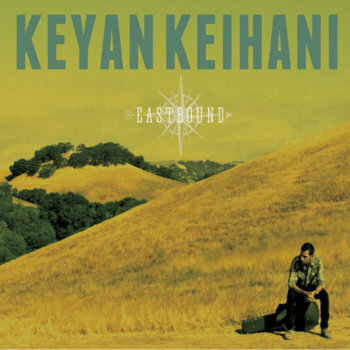 Like any good folk singer, Keihani's great at capturing that high and lonesome sound, but he doesn't get mired in it. Songs like "Channing Way" and "Don't You Ever Leave" would have been radio hits back in the day -- in fact, Keihani's music sounds like it could be from an alternative universe where Better Than Ezra aged gracefully and continued to write good music. Like vintage BTE, they're carefully crafted, honest, and filled with more hooks than Madonna's got looks. Keihani's working on his second album. You can watch the videos for these singles, "Dark Country" and "Better Man," by following the link. These songs are a little sadder and a little more contemplative. Without a band behind him, these songs showcase Keihani's soft-spoken but earnest vocals. This preview just confirms that my hopes for 2015 are appropriately high.